Synopsis: Five teenagers must locate and secure ancient relics with unbelievable power, while at the same time stop a demonic corporation who want the relics for their power. Explorer Andrew Hartford finds the crown of the Corona Aurora, an extremely powerful artifact which, when reunited with its five missing jewels, could be used for good or evil. However when he inadvertently awakens Moltor and Flurious who also seek the jewels of the crown, he recruits four talented citizens to become Power Rangers and plans to become the Red Ranger. However when the evil forces attack, it is soon left to Andrew's son Mack to take action. Hartford is kidnapped by Moltor, who also steals the Corona Aurora. Mack must prove himself as the Red Ranger and aid the team in saving his father, before they must use their DriveMax Zords to save an island from destruction by a giant sea creature. Will's self-reliancy causes friction within the team. The Rangers seek one of the Corona Aurora gems in the underwater ruins of Atlantis. Dax rescues a girl named Mira from a monster attack, and quickly they become a couple. Can their romance survive the strain it's putting on the Blue Ranger's place on the team, or will a mysterious third villain mastermind put an end to their relationship? After putting a bystander in jeopardy, Mack doesn't feel he's cut out to be a Ranger. But the team'll need him to pilot the Drill Driver. Searching the island of St. Lucia for the first jewel of the Corona Aurora, the Rangers stumble upon the ghost of Brownbeard, the pirate. Ronny's competitive nature and drive to always win begins to grate upon her teammates. When an expedition camp in Brazil find the first clue towards finding the third jewel of the Corona Aurora, they are attacked by new villains known as the Fearcats. Please Complete this series. I appreciate your effort. If you need some help I am here. Just click on the given link. You will get the watch online option afterwards. Click on the Episode name, wait for 5 sec and then skip the ad. When you reached the download page, select "Google Drive" link. then click on download, login with your Google or gmail id. Then click on "click here"
You will get the Episode. Both Watch Online & Download option will be there. I was a die fan of power ranger, very big fan, so there was a request to you, if there are all the power ranger series, upload all the Hindi episodes from the beginning to the end, you are better off and appreciate you. 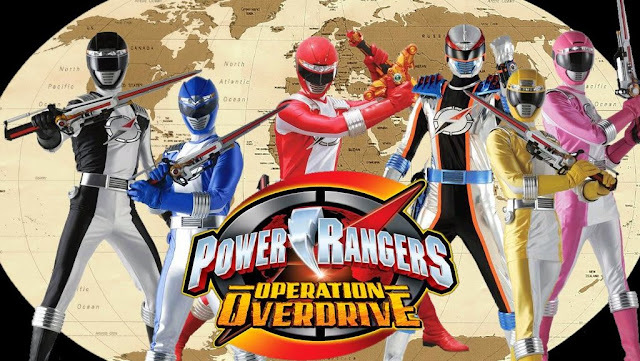 Please reupload power rangers operation overdrive episode 1.
please fix episode 2,3,4,5,6,7,17 link......all the links removed showing.